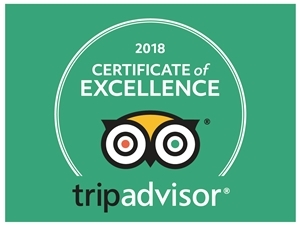 Nha Trang is not only famous for its beautiful beaches but also many delicious and unique local foods. You should try these food to learn more about culinary in Nha Trang, Vietnam. Talking about the cuisine of Nha Trang, people will surely mention nem nuong (girlled port) Ninh Hoa or Nha Trang. The ingredients include nem chua or nem nuong. More popular one is nem nuon which almost tourists would like to enjoy here; then they buy nem chua as a gift for their relatives. Nem Ninh Hoa also uses sliced pig skin as nem chua Thanh Hoa. 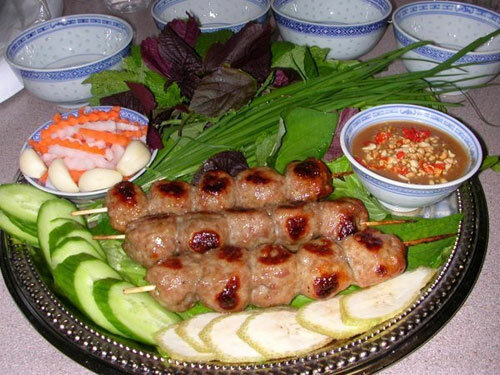 However, instead of wrapping nem in banana leaves, nem in Nha Trang is wrapped by gooseberry leaves or star fruit leaves to make its flavor better. 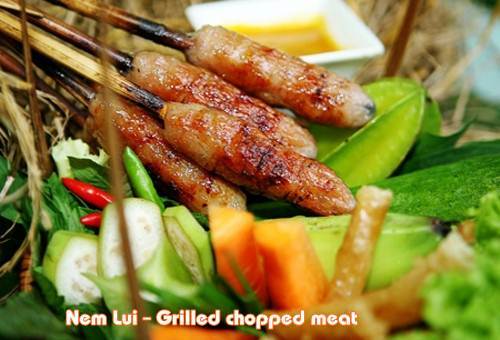 Enjoying nem Ninh Hoa, you will feel the flavor of meat, sweet sour, crispy, and spicy blended together. What a wonderful flavor! Especially, a new flavor is created when you enjoy nem nuong with green papaya salad. So fantastic! 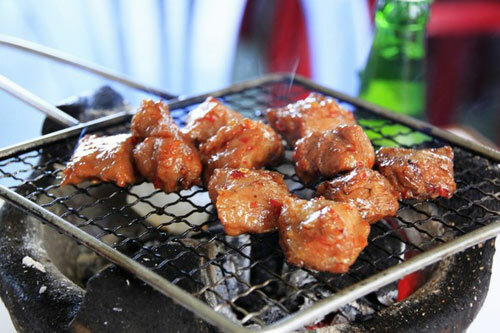 Grilled beef is also one of the specialties in Nha Trang. Gourmets usually say that “visiting Nha Trang without enjoying grilled beef Lac Canh, it means that you just know a half of Nha Trang”. In fact, although this is just a joke, it is really not so exaggerate. 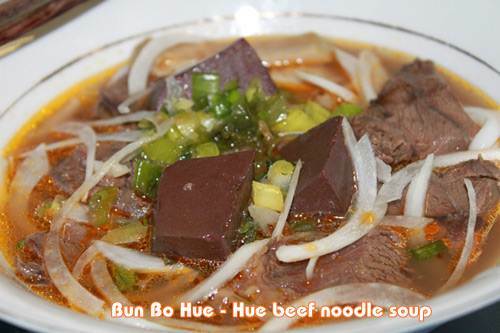 In culinary handbook of international tourists, there is always the address of the restaurant serving grilled beef Lac Canh. The secret of making this dish delicious is on recipes. They mix beef meat with honey and more than 10 spices. Then beef is sliced and grilled on charcoal. This dish is served with raw vegetables. However, you can also order more bread or rice paper to eat together. This dish is quite unique with its broth that is stewed from sailfish and bone of codfish. Because of this reason, the broth will be sweeter and more delicious. A special bowl of fried fish noodle Nha Trang is added jellyfish and Ca Dam, it means that sailfish meat is steamed and torn into small pieces, creating good smell, nice broth as well as tough meat. A hot bowl noodle with its clear broth, good smells, nice fried fishes and spring onion on the top makes you so excited. You should enjoy this dish with sliced raw vegetable and a cup of fish sauce and chili. All of them will give you a forgettable taste. 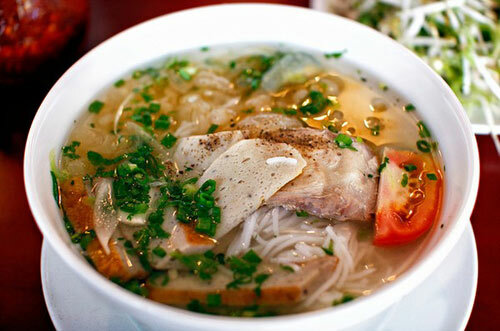 In particular, Bun cha ca is very suitable for those who want to be on a diet. As a coastal city, seafood in Nha Trang is very rich and fresh. You can enjoy seafood at restaurants or local stores along the coast. However, you should visit fishing village to enjoy the fresh seafood which has been caught in the sea. Moreover, the locals can also take you to seafood restaurants on the sea by ferry. Here you can choose the fresh seafood or catch them by yourself and have restaurant’s chef cooked seafood. 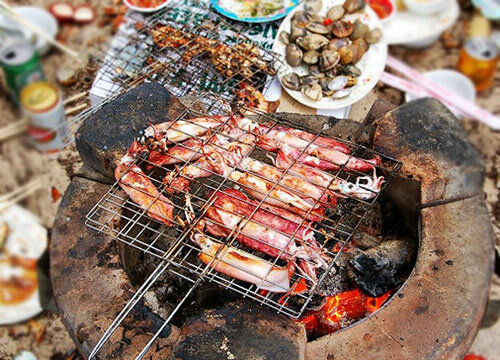 Besides of the shrimp, squid, oysters or snails, you should try grilled fish in Nha Trang. Especially, grilled gecko fish (Ca Tac Ke) in Nha Trang is very famous with its nice smell, sweet and chew when you dip it in chili and salt. Besides, if you can eat live seafood, you should try salmon. Sitting around the warm coal stove, watching the skillful bakers pouring flour into the mold, and then trying the hot Banh Can in a windy day will be interesting experiences. 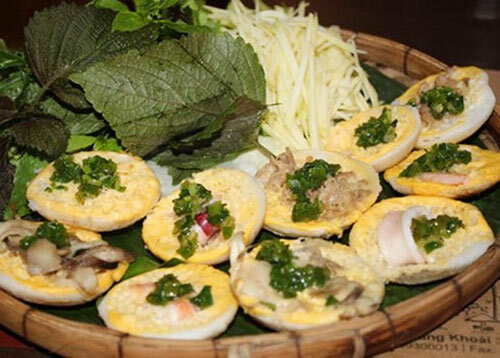 Banh Can is a popular local food in the Central and the South of Vietnam.